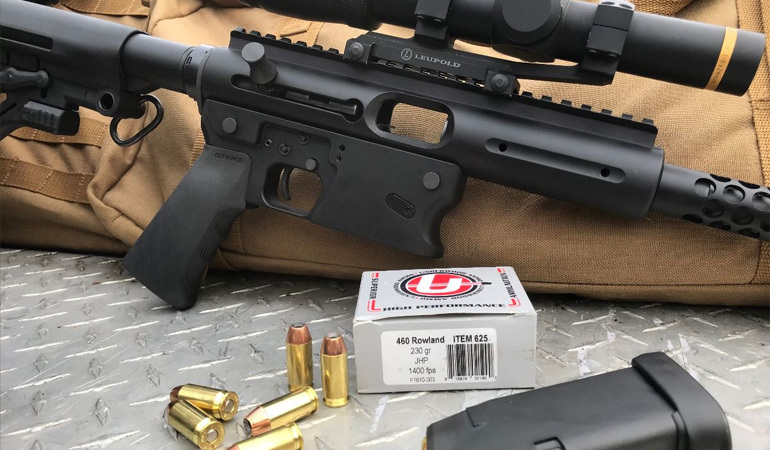 TNW Firearms, a market leading designer and manufacturer of modern and historical firearms, has introduced their Aero Survival Rifle and Aero Survival Pistol in the powerful .460 Rowland. This puts .44 Remington Magnum level ballistics into a portable semi-automatic pistol caliber carbine suitable for big game hunting. Like all Aero Survival Rifles and Pistols, the new .460 Rowland models are takedown designs for the ultimate in portability. 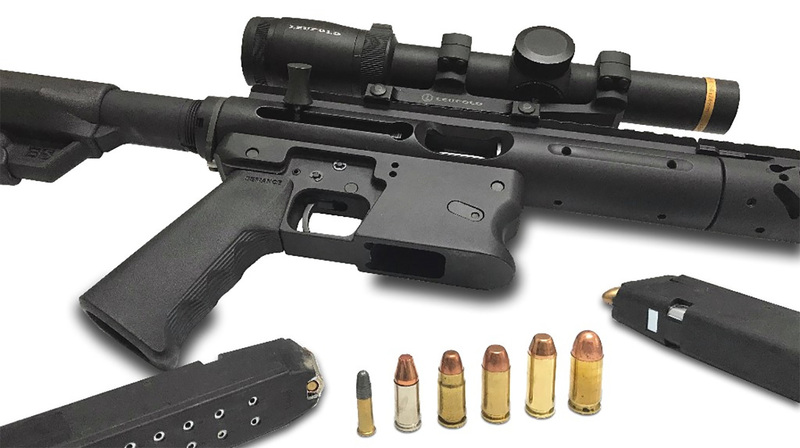 This makes them the perfect emergency survival firearms for outdoor enthusiasts, ranchers, pilots or anyone who needs a portable, rugged and reliable semi-automatic pistol caliber carbine. The .460 Rowland will be available as a complete Aero Survival Rifle, Aero Survival Pistol, Tactical Pistol and available as cartridge conversion kits for existing owners of TNW rifles and pistols. The .460 Rowland is a proprietary cartridge designed to reach near.44 Magnum level velocities in a semi-automatic pistol cartridge with a .45 caliber handgun bullet. Designed by Mr. Johnny Ray Rowland, the case is similar to the .45ACP but slightly longer. The size and shape allow it to feed reliably from .45ACP magazines that are readily available. In the case of TNW Firearms, it uses Glock magazines. Similar in appearance and manual-of-arms to an AR pattern rifle or pistol, the Aero Survival Rifles and Pistols are original designs engineered to be more compact than similar AR based designs. Portable, lightweight, easy to carry and rapid firing, they use Glock pattern magazines(Remington 597 for the 22LR). Blowback operated for simplicity and reliability, both the upper and lower receiver are machined from 6061-T6 aluminum. In addition to the new .460 Rowland, centerfire Aero Survival Pistols are available is in 9mm Luger, .357Sig, .40S&W, 45ACP and even the powerful 10mm, all using Glock pattern magazines. The removable barrel and easily convertible caliber change sallow the shooter to switch between similar cartridges with nothing more than the change of a barrel and bolt assembly. Now available with an MSRP of $699 (Aero Survival Rifle) through $799 (Tactical Pistol), the new .460 Rowland gives shooters a portable, easy to handle, takedown, semi-automatic firearm with 44 Remington Magnum level ballistics. 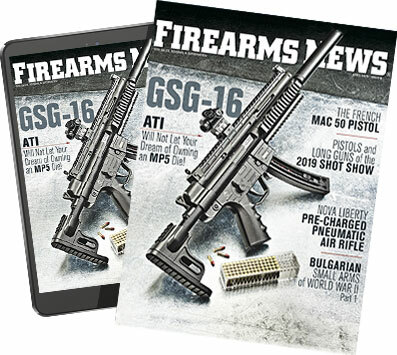 For more information, visit tnwfirearms.com.